We can provide case erectors as per your requirement of case size and speed configurations. We can provide case packer suitable to handle various type of bottles, jars, cylindrical and odd shaped cans. An electronic (PLC) operating system controls for sensing presence and position of bottles. 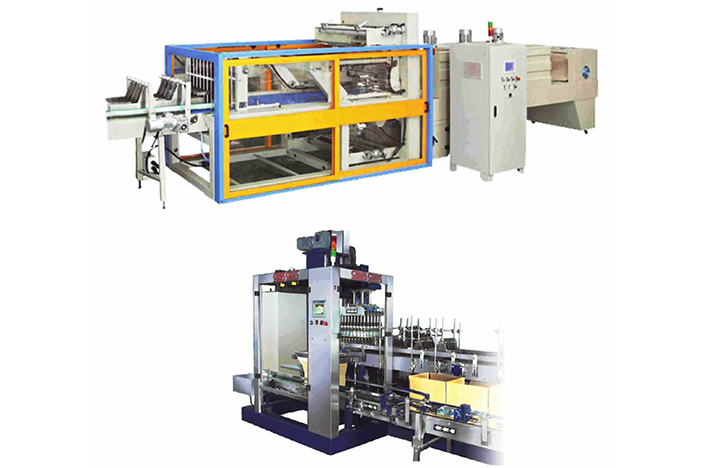 Carton Sealer is an adjustable machine which is pre-set as per the size of case and seals the carton from both top and bottom by BOPP Tape. Machine has inbuilt gravity rollers at both the infeed and outfeed for smooth and easy movement off cartons before and after sealing. The sealing heads are carried on columns, allowing rapid and precise stetting for size change and giving mechanical rigidity. Self-centring slide guides are provided for accurate centring. Operation height adjustment up to 250 mm.